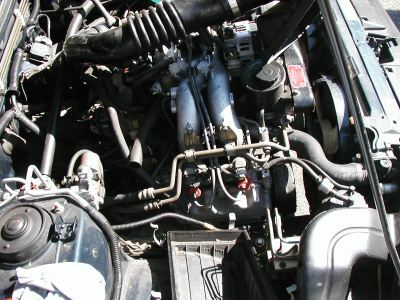 How to remove the side-feed fuel injectors on a 95 Subaru Legacy L wagon with a 2.2 engine. It takes very few tools and can be done in a matter of minutes. Looks like a fairly simple task on this car.... let's get started. 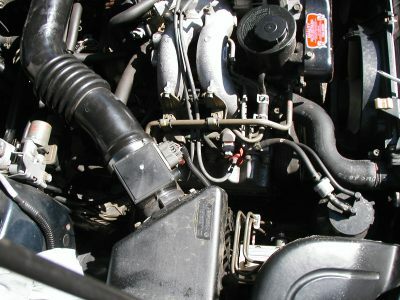 Since there is no Schrader valve to relieve the fuel rail pressure, we just unplugged the fuel pump connector located under the cover in the rear of the car. Started the engine and ran it until it quit. 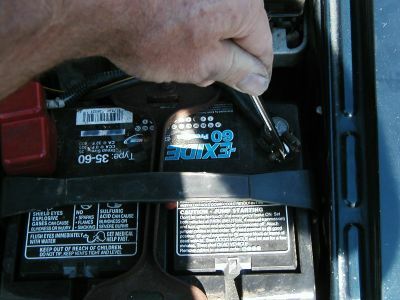 Next, the battery needs to be disconnected for safety. 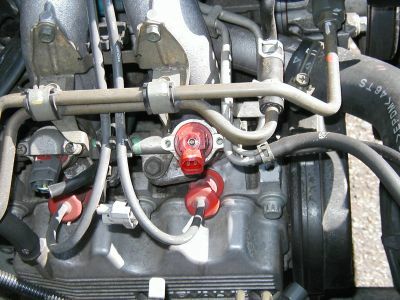 This also resets the engines computer so it can "learn" the cleaned fuel injectors more quickly. I removed the top of the air cleaner assembly for easier access to the injectors. They are the red things now visible. 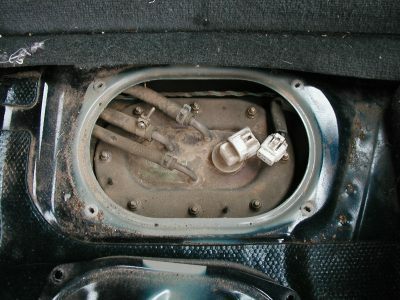 The electrical connectors are now removed, just squeeze the tab on the bottom and pull. My may want to mark them. 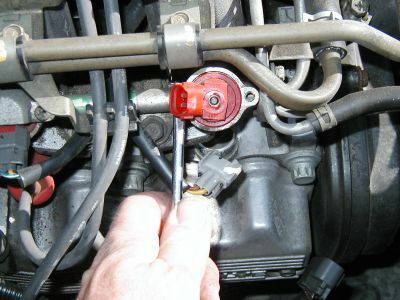 Remove the 2 screws that hold the injector retainer down and remove. 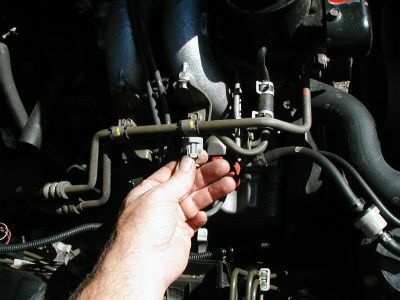 Rotate the injector by hand 90 degrees, this helps to break loose the o-rings. Some WD-40 will help loosen it up if needed. Rotate and pull and it should come out. This one is being difficult, so I am giving it an assist with a screwdriver. Be careful not to damage them . We chose to remove the windshield washer fluid reservoir on the drivers side to make removal easier.